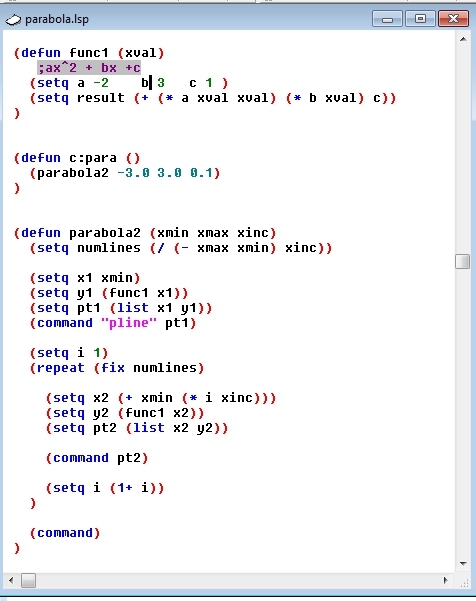 The hard part of coding parametric drawing program whether in lisp or VBA is managing the large number of points. 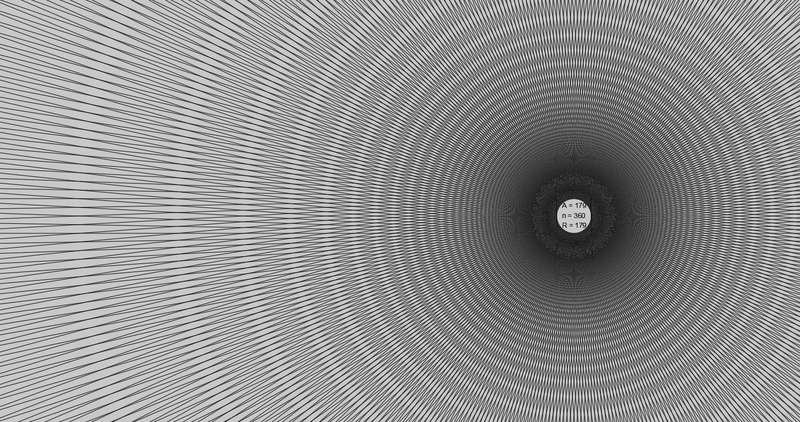 The program turns into many lines of hard to read data apparently randomly named. A sketch has to be made with points labeled and equations or formulas entered. It all might make sense during the coding, but probably won’t a few weeks later when a change has to be made even if the sketch(s) is found. It won’t be obvious how the points are calculated or why lines are drawn from pt7 to pt21 to pt3. There is no one right way but I have recently worked on both lisp and vba programs and have some specific but not comprehensive suggestions. This is a special theory for creating the xy data but not a general theory for the entire program. There are two basic ways to manage your drawing subroutine. It can accept points or xy data. Try both ways. Both methods need xy data. In Lisp I use Visual Lisp objects rather than the “command” method. The object method can draw directly in to a block definition, and it can directly change the layer property. It requires a point object, but that can be created and passed as a parameter or the xy data can be passed and the point created in the subroutine. For lisp I made a point creation routine and passed points to the subroutine which runs the Addline method. This makes no sense without a sketch but the sub p6_box can draw any closed polyline with 6 points configured any way you need it. Our notched box is L X W with an A X B notch, drawn with the lower left corner at 0,0. There are 3 X coordinates and 3 Y coordinates. You can turn this box around any way you wish, move the notch to the middle, put a hole in the middle. 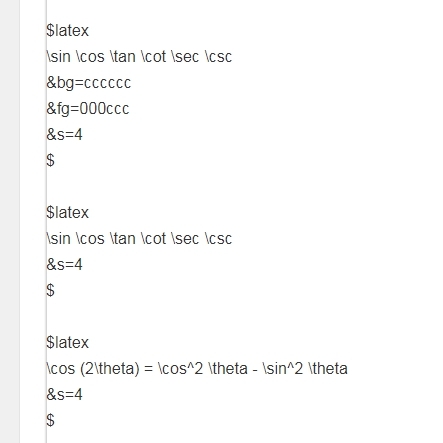 Just label xy coordinates as needed in order from the origin. This is how you organize your xy data without duplication in a straightforward way. Sometimes its convenient to also label points, sometimes its not required, but the xy data must always be figured from the parameters as the first step. In VBA we would probably draw in counterclockwise order. Now it should make sense. The xydata starts at the origin. 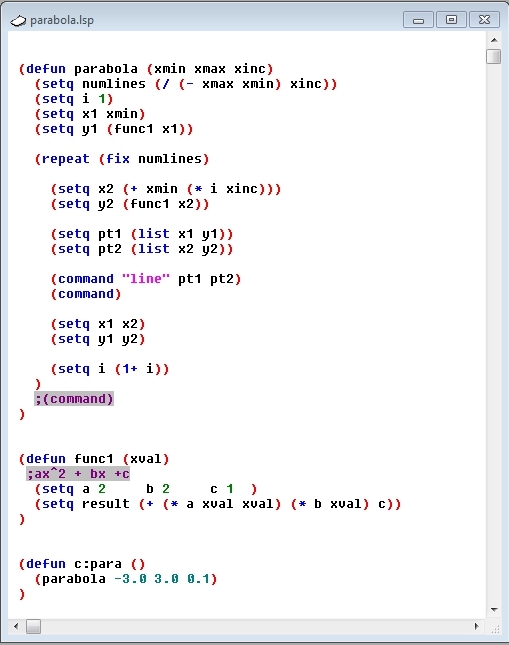 Subroutines can be written so declared point variables are not required, or required. If you have a lot of sub-routines, just declare your x1, x2, etc as public to avoid re-declaring. In programming 101 they strongly suggest that your subroutines be simple and single purpose. Just about every autocad parametric program I have seen or written has been a mess at the actual geometry creation level. 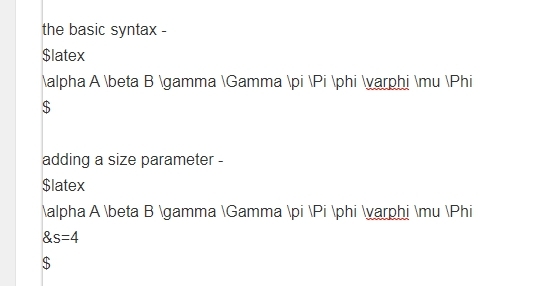 For instance in this example, the parameters A and B, L and W may need to have complicated formulas behind them. Put those upstream of the actual sub-routine that draws the geometry. Make the geometry creation as simple as possible. Pass the actual parameters if possible, do not develop them. 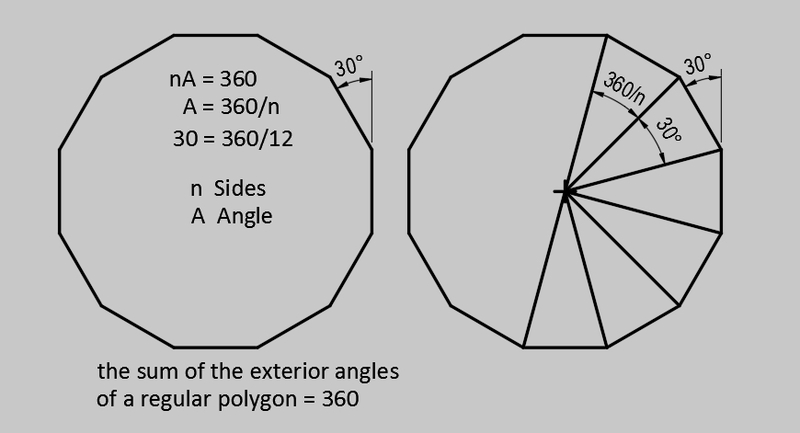 Interface is top down thinking, but geometry is bottom up. You will be able to read that next year if you remember that xy data starts at the origin. To make pretty math graphs with lineweights, colors, background and good looking fonts with math symbols, we will need some basic setup tools. Everybody has a lisp setup. This is the easy way, using the command function from lisp, but a DCL dialog cannot call the command function. It exits with error “unhandled exception.” Twas ever thus and evermore shall be. to run code above from a DCL dialog we need to replace the command functions with entmake or visual lisp activeX methods. 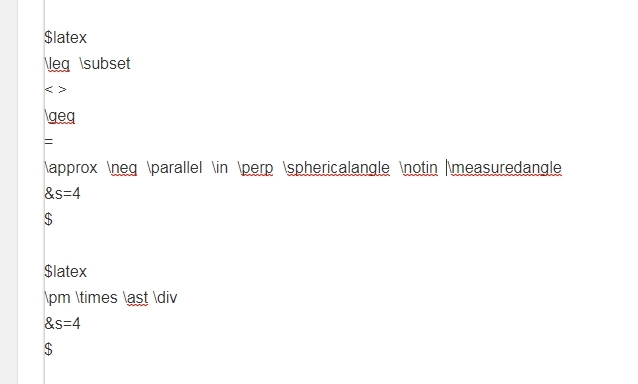 autolisp layer entmake search yields many results. autocad will let us know if DXF does not like the structure of the DXF code. We have to find the actual font name and suffix the extension. similarly the lineweight must be changed from 0.35 to 35, there may be other minor differences, such as the value for “Default” that has to be figured out. query the actual object in the drawing with the entget function above. Fonts consist of 256 characters. a table 16 X 16 can display them all. Addtable works closely with the Tablestyle creation program. I have a statement to load Make_Ts at the head of the FontTable program. The tablestyle program uses the current textstyle and names itself the same way. 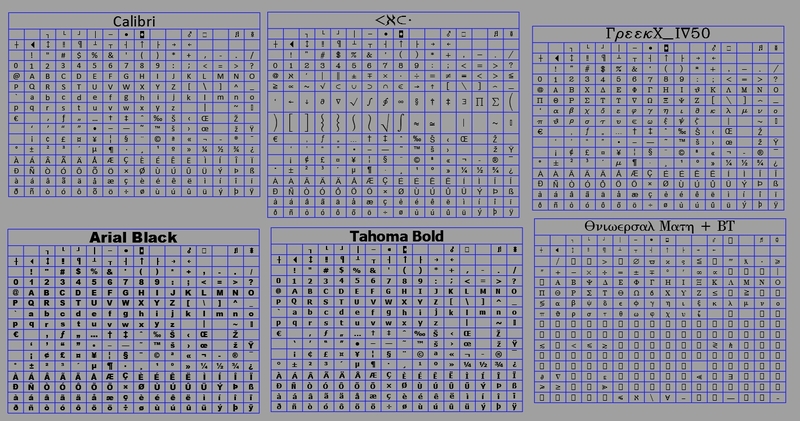 to make a font table with a different font, i change the current textstyle, then re-run fonttable. 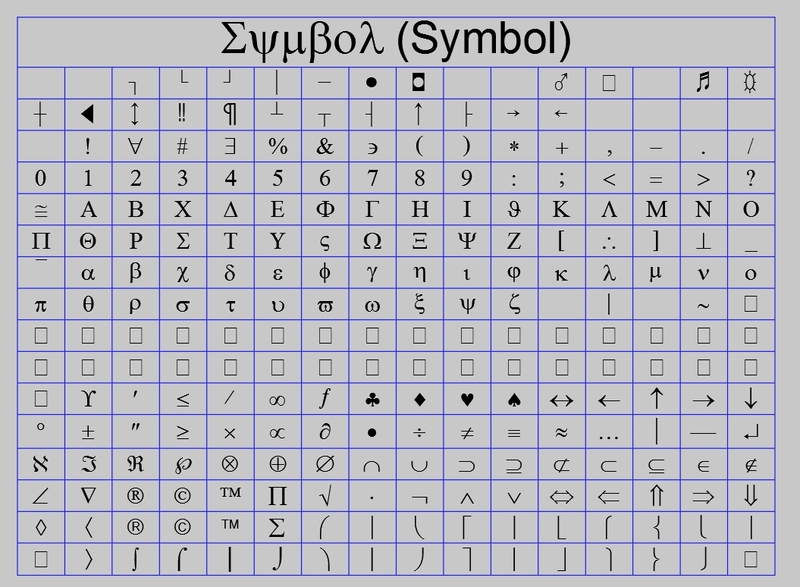 This is a good reference for viewing the entire table for symbols and also i expect it to be handy for cut and paste to find greek symbols. ; and it is helpful to keep alternate methods and settings available. AutoLisp DCL Curve Graphing with curve “recipes” – equation, x value ranges, x value increment – saved and retrieved in an excel CSV file. Curve parameters in an excel list can be edited, sorted and re-organized. A sub-form Curve Catalog is popped up, data filled from the CSV file. User selects curve. Parameters are input to the Graph screen. The code to Read the Excel.CSV file was written by Lee Mac and downloaded from his premier lisp site. With this we can set up a function to return a result for any legal lisp statement and values x a b c d.
The global vars for a_dim b_dim c_dim and d_dim do not vary. 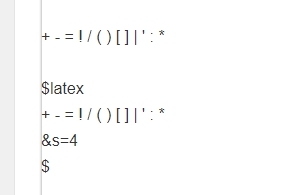 The equations must be input in lisp form, prefix notation with the operator first in a list, expressions nested. As long as it is legal lisp, the above code will interpret it. 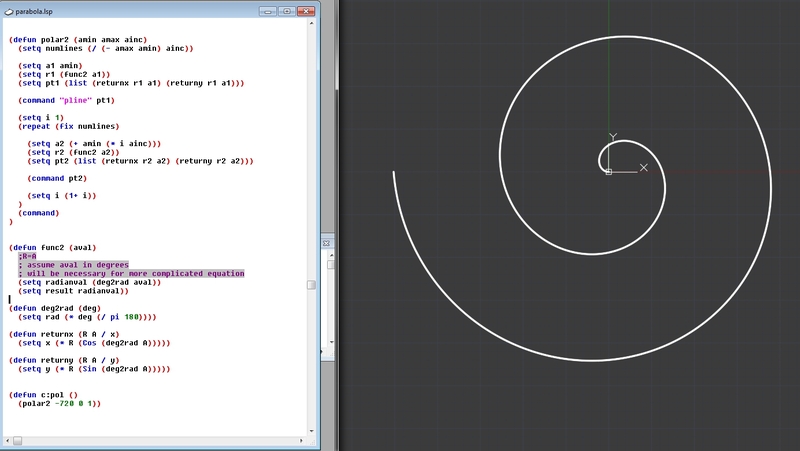 The loop to draw the curve is basic lisp using the command function for either line or pline. 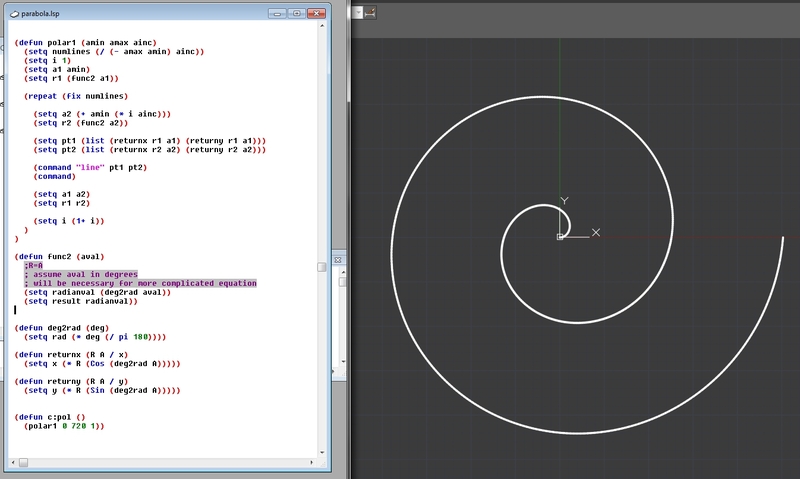 Each curve then is defined by its lisp string, xmin, xmax, xinc and the specific values of A B C and D if they are used. Those 8 variables can be saved in an Excel file, a list of curve recipes, and input to the Graph program through a nested dialog called Catalog. A couple extra information columns are added. The Excel format is called CSV, Comma Separated Values. It is actually a text file. It can be loaded directly into a text editor. Autolisp has tools to read this format. Excel is very handy for displaying and managing it. Lee Mac’s program reads the table and returns a list of rows with each cell a separate item in the sub-list. With Lisp tools we can take that and re-display the CSV file in DCL list boxes. I only make one list box active to user selection, the box with the legal lisp equation. the other boxes are for user reference. all list boxes are given the same height and handled the same way so the rows line up. 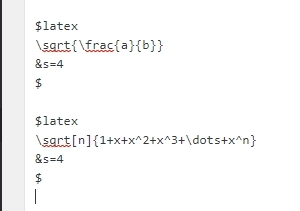 When the user selects an equation, its parameters are written to the textboxes, however he has to select OK to dismiss the dialog and use the parameters. Selecting cancel will abandon the values and return the previous screen with the values unchanged. 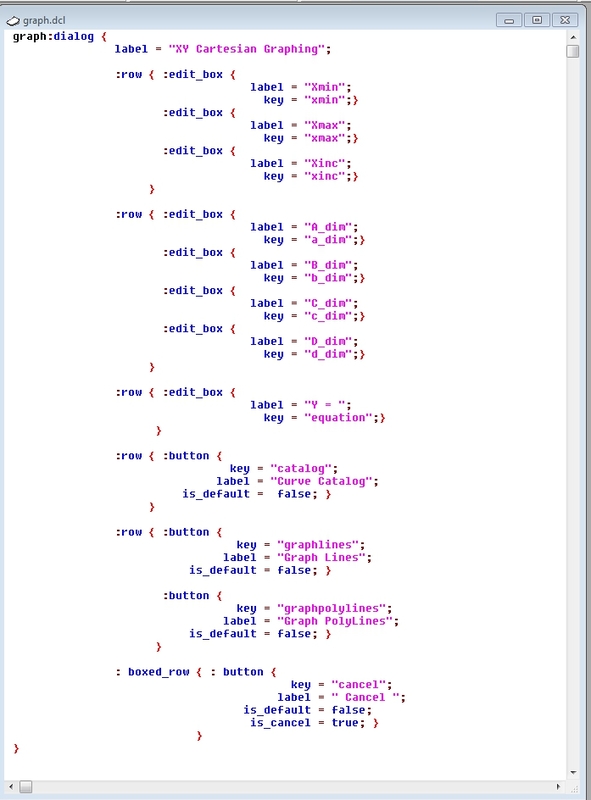 Here is Catalog LSP, called from the button on Graph. much of its length is just from loading the 10 listboxes and dealing with variables. This is pretty simple. Its a start. Func1 defines the equation ax^2 + bx + c with the specific values of a b and c and returns the value when passed the current value of X. C:para calls the parabola function and sets the x minimum, maximum and x increment. screenshot from the visual lisp editor. 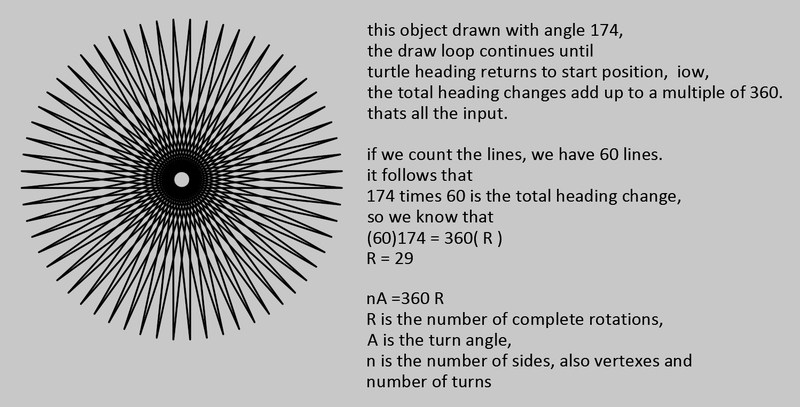 if instead of unconnected lines, we want to graph with a 2D Polyline, the command is PLine, it takes the same point list. We start the Pline command with the first point, then enter the loop and calculate the next point each time through the loop, leaving the command processor running and just feeding it one point each time. To change the command from separate lines to connected polyline, we start the pline command outside the loop and only calculate one point in the loop, just as for the rectangular cartesian program.